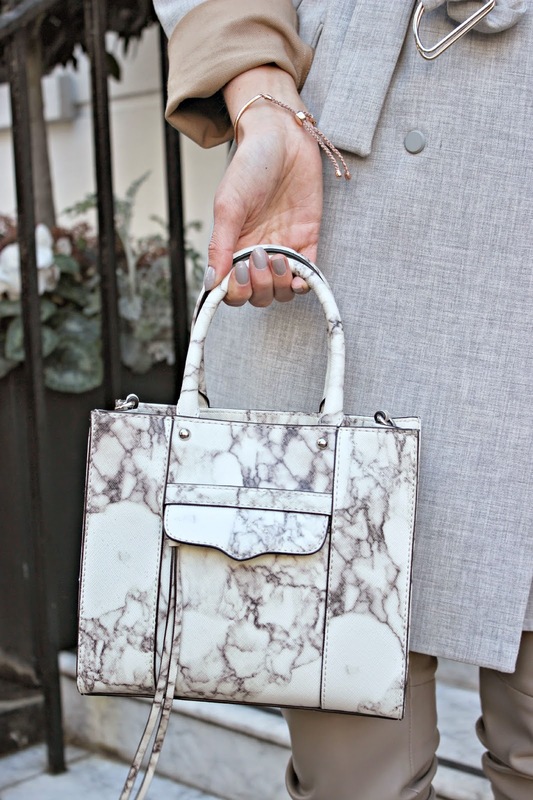 My love for marble has been well documented on this blog. This little (it really is very tiny) Rebecca Minkoff bag quickly became my favourite accessory – and I mean hands-down absolute teeny tiny favourite bag. So when I took it out for an Afternoon Tea date and found myself walking past some marble steps, it was an opportunity not to be missed! On the day, I was also wearing my leather trousers from Zara – I wasn’t sure whether to buy these trousers originally as I wasn’t sure how often I’d wear them, but the neutral, timeless colour has meant that they’ve been something I’ve reached for regularly when I want to add a luxe texture to my outfits. 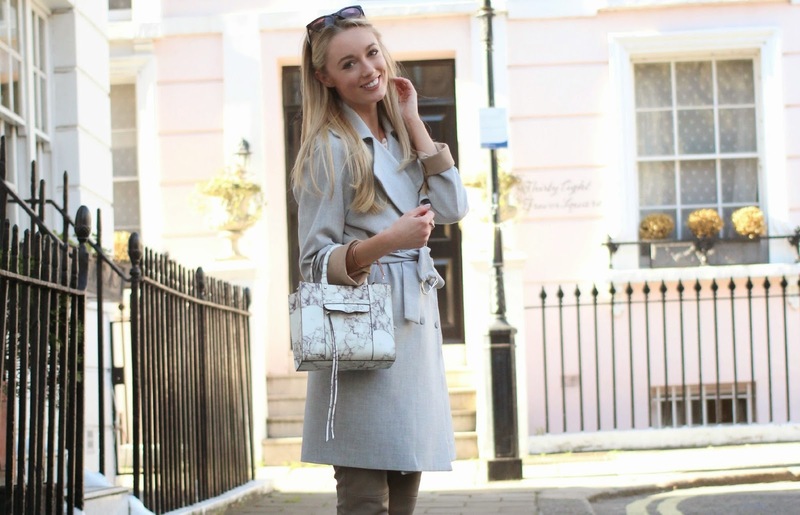 Also in this #ootd post I paired the leather trousers with my favourite pink boots from Miss Selfridge (they’re sold out but Topshop have similar ones here) and my go-to coat for this transition weather, my grey wrap trench coat from Topshop. I added in my rose gold fiji friendship bracelet from Monica Vinader (I’m so smitten with these delicate designs!) and the classic black cat-eye sunglasses from Topshop. How would you style Leather & Marble?